Find examples of contemporary caricature and identify the elements of the drawing that help with the character recognition and where the caricature takes place. From the information contained in the drawing, how do you know who this person is? 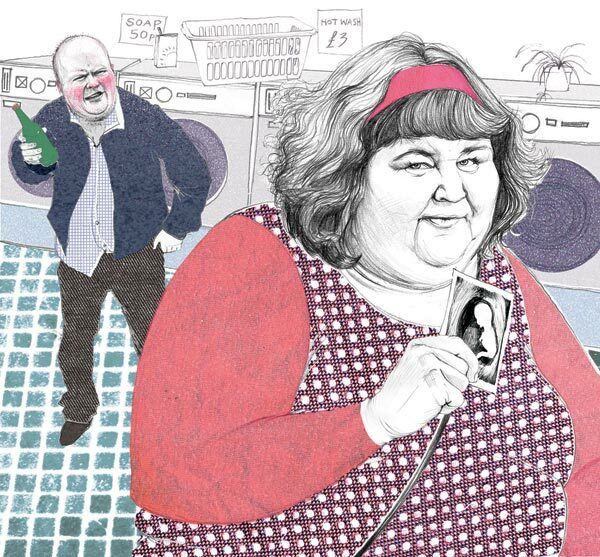 How has the illustrator exaggerated or embellished this visual information to provide a caricature? What are the connotations of their exaggerations? Reflect on this in your learning log. While symbolism and metaphor underpins the structure of satirical cartoons, caricature provides both its currency and its bite. Caricature communicates who you are talking about to an audience, and it also provides some commentary on what you think of them. As Hogarth’s The Bench points out, there’s a difference between character and caricature. Some caricatures are mainly exaggerated portraits from a particular point of view. These vary in their degree of realism of rendering from outline sketches and cartoon animation-like effects to distorted painterly portraits. Some of these latter are very large – an interesting way of starting a caricature. Kruger does very large oil portraits distorting the features, but photorealistic. 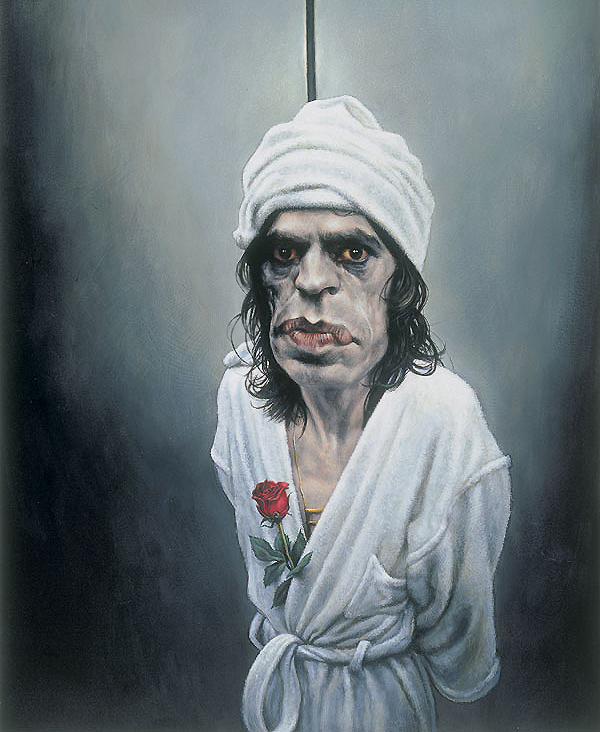 In the caricature below, the line above Mick Jagger’s head makes him look like a hanged puppet, while his bloodshot eyes stare somewhat accusingly out at us. 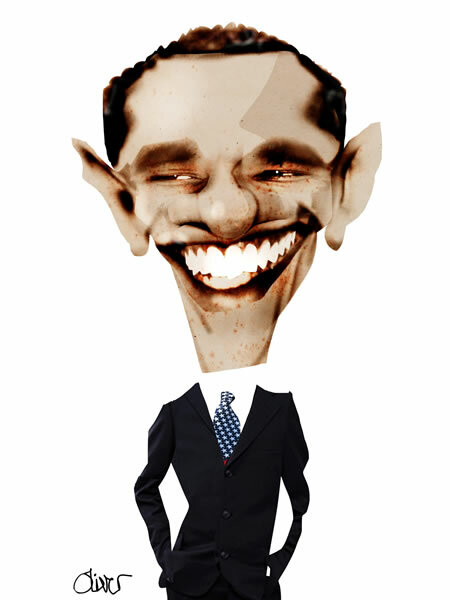 I also looked for collage caricatures, but could not find nearly as much as I expected. Mostly distorting the face. Other caricaturists combine symbols and narrative together with caricature for satirical commentary on social and political issues. hints at caricature but remains true to the character, with very realistic faces but stylised bodies. Martin Rowson has a more fantasy-like style with a lot of symbolism and a strong political message. Steve Bell’s powerful satirical caricatures vary significantly for the same subject depending on the message he is trying to convey. This gives his caricatures considerable impact and depth. See also satirical animated caricatures in Spitting Image.